If you know me, you know I love a good face mask. Sheet, peel-off, or mud – I love them all. I think that all face masks serve a good purpose, but sometimes I am not so sure what that purpose *really* is. Revitalizing, balancing, and clarifying all sound like great things to do for your skin, but what do they all mean. Why does my skin need to be revitalized? How did it lose its vitalized in the first place?! 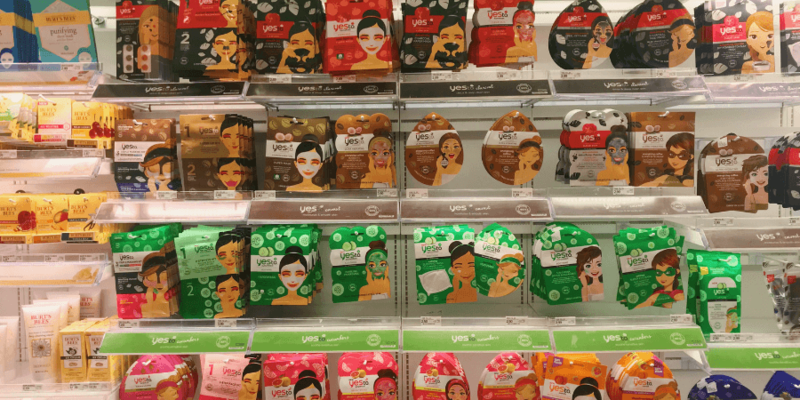 If you’ve been wondering what face masks actually do, its time to find out! If you have a lot of face masks in your arsenal like I do, it’s helpful to know exactly what you’re getting yourself into before you apply it. You don’t want to put on a mask that will give your face a deep clean (making it nice + red) if what you really wanted was to relax + refresh your skin before an event. So whether you’re using a sheet mask, mud mask, peel-off mask, etc., you’ll know what face masks actually do + what you can expect. Purifying/Cleansing/Clearing – clean out pores, absorbs oil minimizes pores, and sometimes tones. Common ingredients: clay, tea tree, witch hazel, mud. Revitalizing/Renewing – purges skin of dirt + oil, while leaving it feeling fresh + smooth. Common ingredients: anti-oxidants, peach, rose, red wine. Brightening/Rejuvenating – moisturizes skin + detoxes, while evening out your skin tone. Common ingredients: lemon, orange, grapefruit, vitamin C, green tea, turmeric. Detoxing/Anti-Stress/Balancing- replenish and balance moisture while unclogging pores. Common ingredients: lavender, bergamot, sea minerals, sea salt, cucumber, charcoal. Elasticity – nourish skin to give it a more youthful complexion through tightening skin. Common ingredients: cherry, ginseng, pomegranate, yogurt, cucumber, egg whites, banana. I love a good Tony Moly sheet masks, but I also have a nice collection of Freeman masks + bubbling masks. See what other bath products I love. Next time you slap on a face mask (with I hope is soon) you’ll know what face masks actually do. If you’re looking to REALLY clear out your skin, I recommend getting this Aztec clay mask from Amazon. It is magic.